For many people, buying a home is the single largest financial investment they’ll ever make. You may live in your home for years, or even decades to come, and similarly, you may be paying for it for that same amount of time. Finding the right mortgage is critical to getting the most out of your home buying process. Of course, that’s easier when you work with the right mortgage broker. As Fayetteville’s Top Rated Local® mortgage broker, we’ve worked with hundreds of families to find the resources they need to move into their forever home. 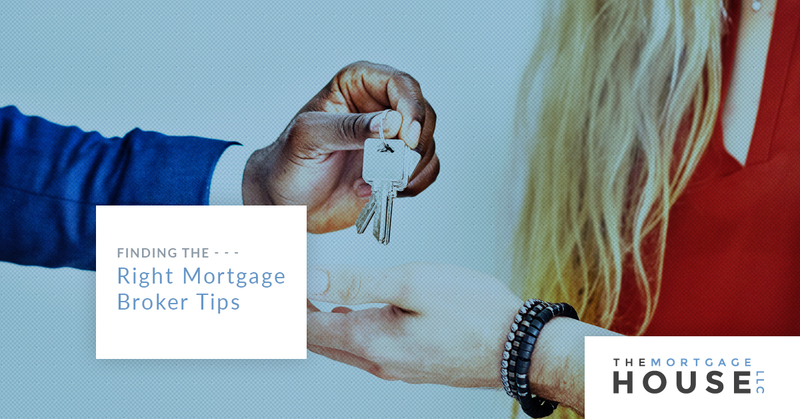 Today, we’ll outline some tips for finding the right mortgage broker for you. One way to speed up the process of finding the right mortgage broker is by having a clear understanding of your financial resources. First, you’ll want to know how much cash you have on hand, and then how much you’ll need to borrow to buy a home in Fayetteville. Generally, you’ll want to have at least enough savings to cover the down payment on the home. A down payment is typically 20 percent of the home’s value but can be less in some situations. You’ll also want to have enough to cover the closing costs and your first year of property taxes and homeowners insurance as well. Next, determine how much you’ll need to borrow. This makes it easier for you to approach a lender. While you might be a first time home buyer, it’s likely that friends or family in your area have already purchased a home, or know someone who has. You can start the search for your mortgage broker there. Ask about their experience with that particular broker, whether it was a positive or negative experience, and if they were able to get them a loan that worked best for them. Your real estate agent may also have a few suggestions for you as well. Buying a home and getting a mortgage is a serious commitment, and you’ll want to ensure that your broker communicates clearly and frequently with you. When reaching out to various brokers, keep track of how quickly they respond to your queries, and how thorough their answers are. In the real estate market, timing is key, so you want to make sure that your broker responds in a timely manner so you can move on a potential home. You’ll also want to work with a broker that checks in with you regularly, even if they’re just updating you on the progress of a certain form or file. Mortgage brokers want to help you find the best mortgage rates and terms, as it’s in their best interests to do so. If they can’t find the right loan for you, they may lose your business. The best brokers will have a wide variety of contacts and lending institutions they work with. Avoid brokers who only work with a few types of loans and financial products. Instead, find the ones who partner with several lending groups, as they’ll be able to offer you a wider variety of loan options. Comparing mortgage rates and terms is more than just looking at the interest rate. When a broker presents their options to you, make sure to ask them for a detailed breakdown of each, including costs and fees, like applications, appraisals, and commissions. While your home buying days may be done after your first purchase, you might find yourself in a different situation in a few years. It’s best to work with a broker that you’re comfortable with so that if you become a repeat buyer, you can get their help again. You’ll have established a sense of trust, making the home buying process smoother and faster the second time around. Looking to buy a home in Fayetteville? The Mortgage House, LLC. has made that process easy. You can apply online for a mortgage, and connect with our mortgage brokers quickly. We’ll make use of our years of experience and extensive network of resources to find the right mortgage loan for you. Contact us today to learn more!